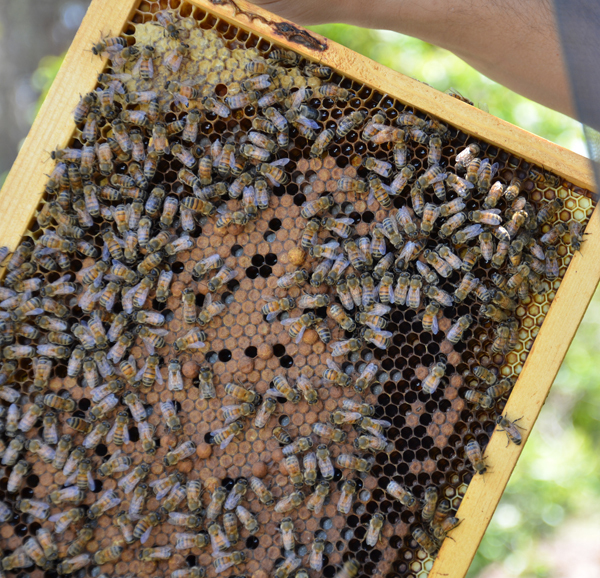 In the 2 years we have been keeping bees, I have never seen a round queen cell. Most queen cells are elongated, but this one is a round ball. A week ago this hive was doing fine and had a queen, then while inspecting them we noticed they were a little aggressive. My poor husband got stung 4 times and finally put on his gloves. 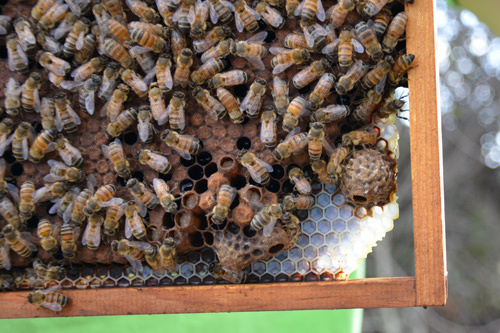 We looked and did not see any new eggs and searched for the queen, but did not find her. There were 3 other queen cells in the hive too. Maybe the queen died from natural causes? 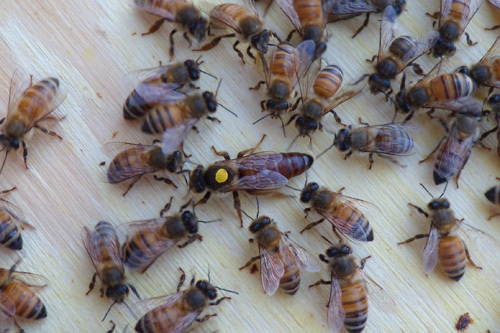 Maybe she was rejected from the hive for some reason? Who knows for sure. 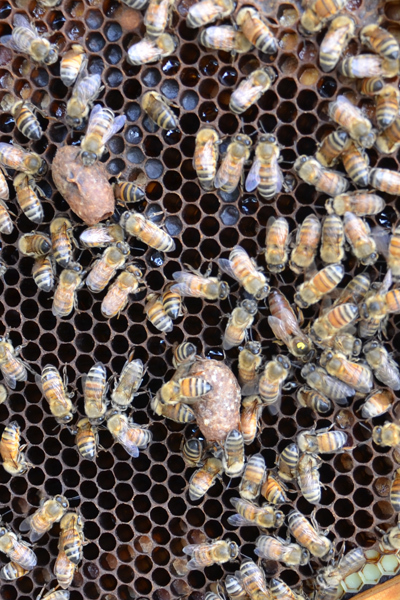 The queen cells look like emergency cells, so we left them as is and will check this hive in 2 weeks. 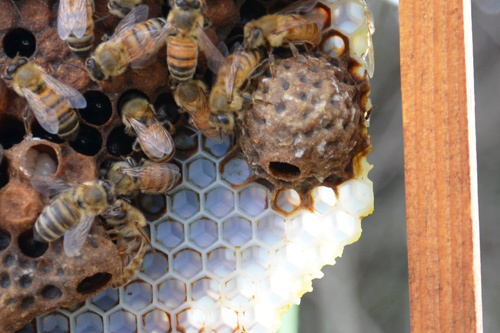 Close up of round queen cell. What’s the Queen Doing There? We recently moved our nucs into regular sized hives. 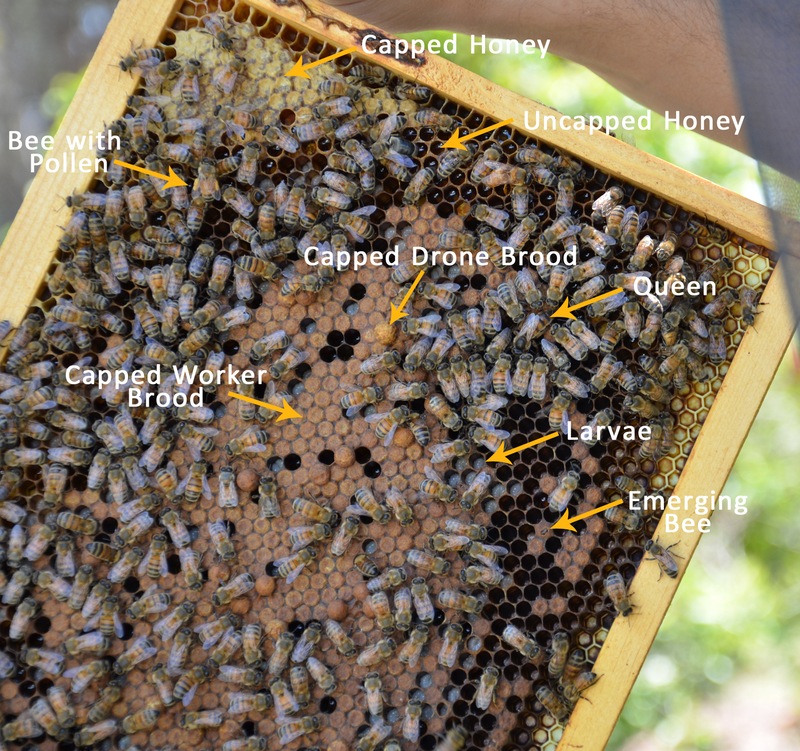 We opened up one hive and found the queen on top of the inner cover. What is the queen doing there? Since it was a relatively new hive to her we assumed maybe she got a little confused, so we gently guided her back to the opening of the inner cover and back down into the hive.